Vonore Middle Wins 1st Place at Future City Competition! 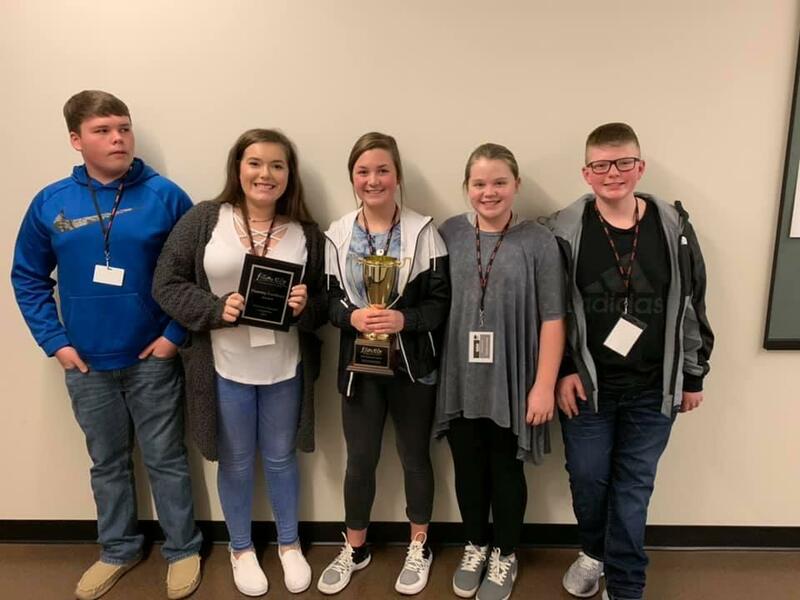 The teams from Vonore Middle School brought home multiple awards from the Future City Competition, including 1st in the state! 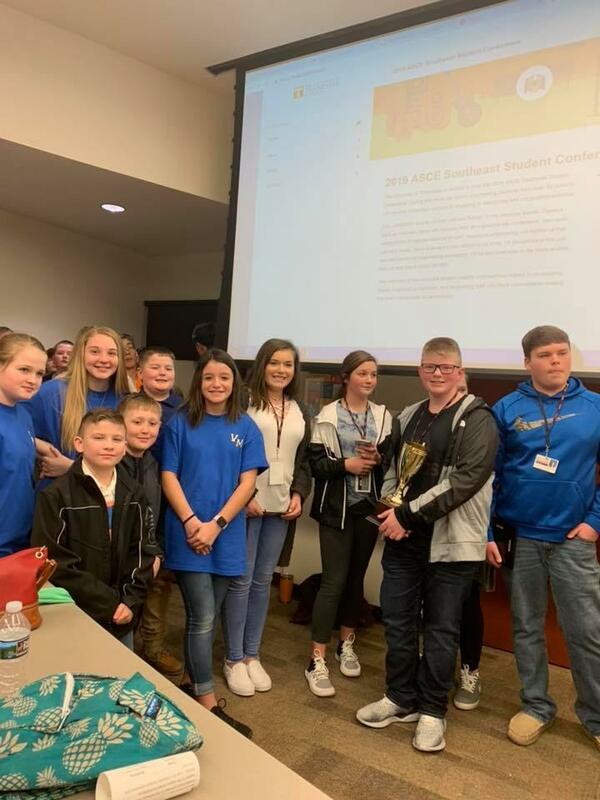 On Saturday January 12, 2019, students from Vonore Middle School were part of a state-wide engineering competition held at the University of Tennessee. Students at this competition spent the first half of the school year working on designing cities that could withstand natural disasters. 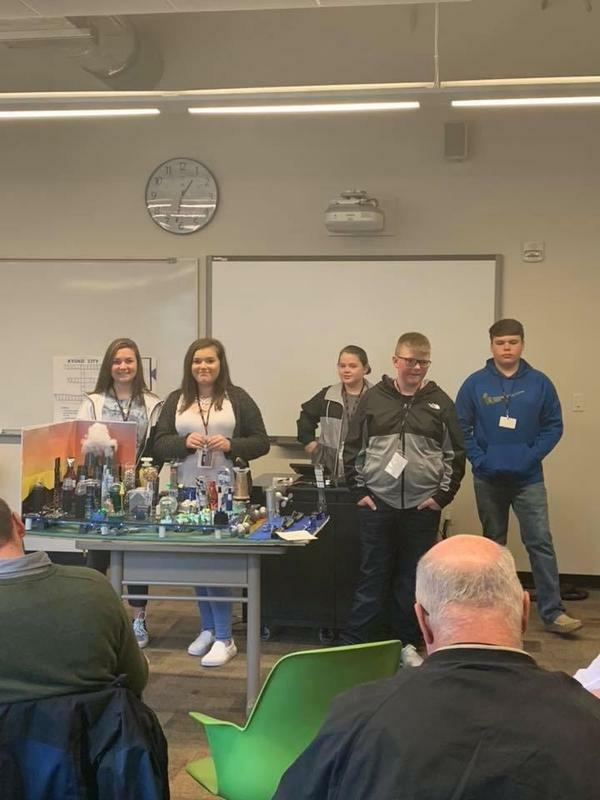 In order to complete the requirements of the competition, students had to create virtual cities and PowerPoint Presentations detailing the progress of that city and what it helped them learn about infrastructure. They also had to write an essay detailing the innovative and futuristic solutions included in their city design. These items, along with a Project Plan had to be submitted online before winter break. In order to showcase their planning and design, students created scale models of the cities they had outlined in their essays. The models are twenty-five inches by fifty inches and made primarily from recycled materials, as not to exceed the strict $100 budget limit set forth by the competition. On competition day, students presented these models to a panel of judges. The presentations had a time limit of seven minutes followed by five minutes of questioning. We had four teams in the competition, and each one excelled in various areas including the competition day scavenger hunt around the Engineering building. The sixth grade team of Blizzartica won an award for Best Approach to problem solving. The seventh grade team of Buoyanta won the award for best land surveying practices along with a $100 prize. 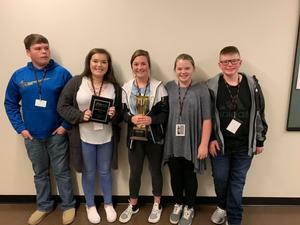 Our eighth grade team called Kyoko City won the award for planning excellence and was the overall winner at the state level! They will be traveling to Washington, DC to represent Vonore in the national competition in February! These students put in a lot of hard work and we are super proud of them!! We are also grateful to all the parents, school personnel, community members, and mentors that made it all possible! Vonore Middle School © , All Rights Reserved.